Rémi Brague is professor emeritus of Medieval and Arabic Philosophy at the University of Paris. He also teaches at the Ludwig-Maximilian-Universität of Munich where he holds the chair Romano Guardini and is a member of the Institut de France (Academy of Moral and Political Sciences). 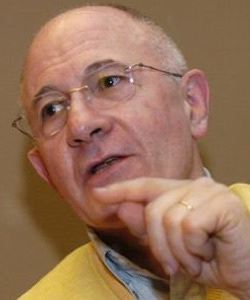 Brague was awarded the 2012 Ratzinger Prize by Pope Benedict XVI. He was the keynote speaker for the December 2013 conference held in Rome as a part of the Christianity and Freedom Project headed by the Berkley Center's Religious Freedom Project.